Beth enjoys spending time on projects in the home and garden. Since Beth has also worked for a company in the sustainability industry she tries to incorporate that sensibility into her projects. We started researching wireless headphones for TV when my husband couldn't hear dialog well any more. One day we realized he was asking me to repeat a lot of the conversations -- or turning the TV way, WAY up to try and catch what was being said. He needed headphones for hearing impaired TV viewing. Fortunately a friend of my mother had already been down this path and could give us some ideas. 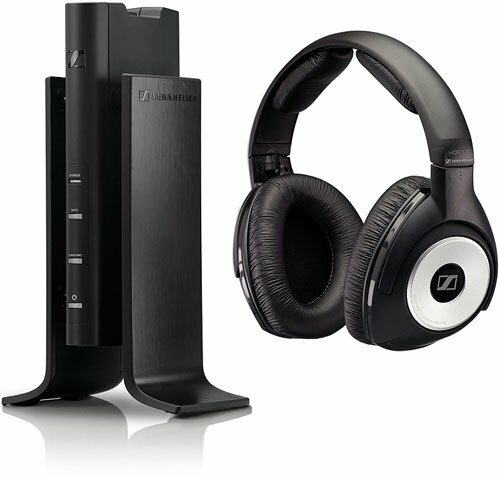 After researching the options we found the Sennheiser RS 170 Digital Wireless Headphone to be the best available. My husband can hear everything being said on the television and I can keep the TV's main speakers down to a dull roar. Peace at last! Style: This is a full ear headphone rather than the earbud style. My husband prefers headphones that go over the whole ear with good cushioning. Clarity: TV voices come through clear as a bell. Something about Sennheiser's electronics picks out the voices from the noise and makes them clear. We don't have to turn up the headphones nearly as loudly for my husband to hear the dialog as we used to turn up the television. Comfort: These are light enough that my husband can wear them for several hours at a time. He walks around the house, lies down on the couch, you name it. Always comfortable. Wireless Reach: The wireless signal is rated for 260 feet. We haven't tried it that far, but it reaches throughout the main floor of our 1800 sq foot home with ease. No need to keep the stand nearby in order to hear well. Volume Adjustment: The volume controls are right on the headphones so you don't have to walk back to the stand to make adjustments. Oh, and the adjustments include treble and base too! 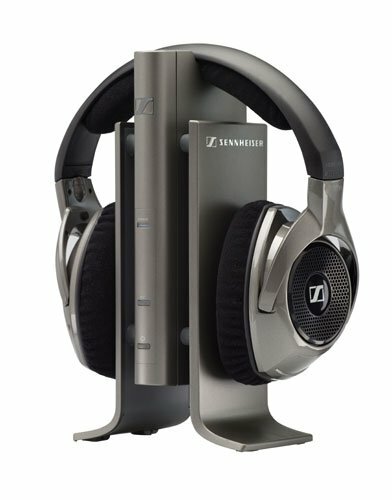 If you've been looking for a full-ear wireless headphone with clear sound, the Sennheiser 170 is a great choice! The whole point of wireless headsets is to not be tied to a connection or stand -- so you really want on-set controls for your volume. Here's a picture I took of the controls on the headset, located on the right earphone. As you can see you can even control the treble and base, right here. No need to walk back to the stand. Here's a picture of the padding in the top of the headset. My husband says this is the most comfortable set of headphones he's ever worn. This wireless headset is perfect for our needs. But yours may differ. One reason you might consider a different headset is if you like to also hear what is happening around you. In that case, you'll want to consider headphones like the Sennheiser 180, that are designed to let some of the surrounding sound in. There's a catch though: nearly all wireless headphones have a delay between the when a sound comes through a TV speaker and when it comes through the headphones -- it will sound like an echo to the wearer. You don't notice the delay much when wearing sound blocking headphones like the 170. "Open" headphones put you more at risk. If hearing the surrounding sound AND not having an echo are both important to you, you'll need to look at non-digital headphones like the ones that transmit over RF, or look at wired headphones. The 180 is a good choice if you need to also be able to hear sound in the room.